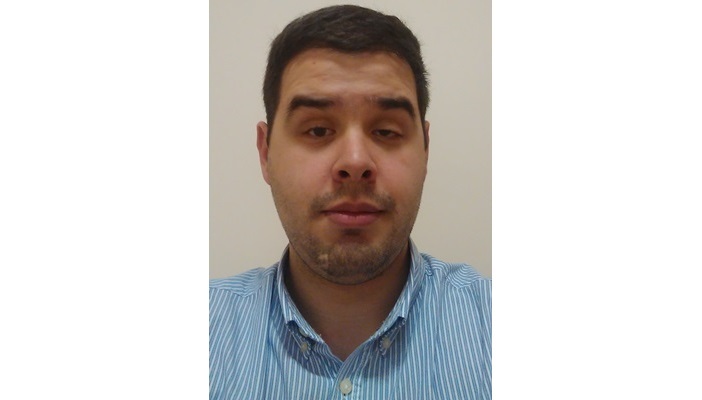 Jonathan Mears (pictured), project worker and campaigner for Disability Rights UK, shares his story to encourage others to join the campaign. As someone who has lived my whole life with vision impairment, I understand the challenges and barriers that people with disabilities face in finding work, having experienced it myself. I currently work for a charity in Gateshead as a project worker. In addition to this, I have also been supporting a national campaign with Disability Rights UK over the last year called ‘I Can Make It’. The campaign was set up with the aim of creating job opportunities for people with disabilities across England. What makes the campaign unique is that young people with disabilities are at the forefront of the campaign, raising positive awareness to key decision makers about being involved with volunteering and how employment helps in their everyday lives. I first heard of the campaign through work and I was excited to join in and take part as I felt I could contribute to a great cause and use my own experiences to positively influence others. The campaign started with several training sessions in London and Birmingham, where I was joined by the rest of the national volunteer campaigners. During the sessions we learnt a lot about how campaigning works, important legislation, how councils operate and how they acquire services through a process called procurement. The training allowed me and other volunteers to have the tools to campaign with businesses and councils to create job opportunities for people with disabilities in our local area. My role is to raise awareness of the need for more job opportunities in the North East region, in particular Newcastle, Gateshead and Durham. I do this by researching information that could help with our campaigns, speaking to councillors to create opportunities through the procurement process and promoting job openings to people with disabilities. I have also been lucky enough to have met MPs and councillors across England to speak about the campaign and of my own experiences of being in work and how it benefits me as someone with vision impairment. Over the last year we have received a lot of support all over England for the campaign and for people with disabilities as a whole. One highlight for me has to be presenting to a team of procurement councillors in Durham, where I was able to gain their support to open up job opportunities for people with disabilities in the area. The campaign has been a great experience for me so far. It has allowed me to take lead in a project, raise awareness on a wider scale about a subject I am passionate about and, most importantly in my view, inspire other young people with disabilities like me to pursue the careers they want and lead independent lives. It would be great to see more people with disabilities join the campaign. My advice to anyone is to not to be afraid to have a go at anything. You might not think volunteering is the way forward for you, but there are so many advantages to it. By campaigning for Disability Rights UK, I’ve gained vital skills and work experience, and met lots of other people with disabilities too. If you are interested in following the campaign’s progress and sharing stories with other young people with disabilities on subjects, including getting into and staying in work, follow I Can Make It on Facebook and Twitter. Disability Rights UK have released two short films of young people at work talking about the paths they took to get where they today. They are also developing a Wordpress blog, where you’ll be able to find the voice of the volunteer champions and information about them in blogs, videos and posts. If you have a disability or long term health condition, are aged 18-29 and interested in joining Jonathan Mears as part of I Can Make It as a Volunteer Champion or if you would like more information about the campaign, please visit the I Can Make It website or contact Leo Capella, the Campaign Project Coordinator, at [email protected]. At the moment the campaign is particularly looking for people with disabilities and health conditions from cities across Northern England including Liverpool, Newcastle and Nottingham so do get in touch.